Last weekend my friends and I stumbled across a brilliant night club hidden away on Little Collins Street. For those of you sick of wading through the overcrowded clubs with overpowering music and cheap tasting drinks, New Guernica is definitely worth a try. The intimate atmosphere and charming décor give New Guernica a unique quality you won't be able to find in most Melbourne night clubs. As you climb the stairs you're greeted with a fairy tale woodland vibe, a pleasant change from the usual strobe lights and 'doof doof' music. Enjoy a whimsically named drink with a few friends in one of many cosy seating areas. Along with the friendly bar tenders and dream like ambiance New Guernica attracts some of the most interesting crowds I have ever met. Open until 4am in the morning, every morning, New Guernica is a must visit for anyone staying the night in Melbourne. Why? 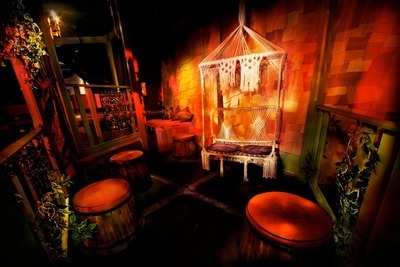 A brilliant night club hidden away on Little Collins Street.